A-HOTEL.com - Luxury and cheap accommodation in Krasnyy, Russia. Prices and hotel, apartment booking in Krasnyy and surrounding. Sportivnaya Hotel offers rooms in Baltym. All rooms feature a flat-screen TV with cable channels and a private bathroom. Кемпинг На Поляне is offering accommodation in Baltym. Boasting a 24-hour front desk, this property also provides guests with a restaurant. Situated in Verkhnyaya Pyshma in the Sverdlovsk region, Апартаменты на Свердлова 1а features a balcony. It has city views and free WiFi. Апартаменты в Верхней Пышме is located in Verkhnyaya Pyshma. The accommodation is 18 km from Yekaterinburg. 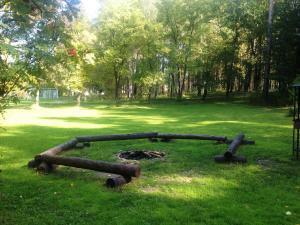 Located in Verkhnyaya Pyshma, Solnechny Ostrov offers a private beach area, garden and shared lounge. Boasting a 24-hour front desk, this property also provides guests with a children's playground. Situated in Verkhnyaya Pyshma in the Sverdlovsk region, 1 комнатная квартира has a balcony and city views. Guests staying at this apartment have access to a fully equipped kitchen. Located in Verkhnyaya Pyshma in the Sverdlovsk region, Апартаменты на Уральских Рабочих 45а has a balcony. Guests staying at this apartment have access to free WiFi. Boasting accommodation with a balcony, Квартира в Верхней Пышме is set in Verkhnyaya Pyshma. This apartment features accommodation with free WiFi. 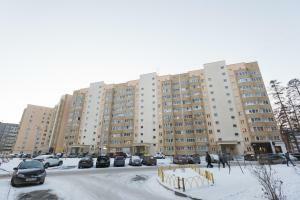 Featuring accommodation with a balcony, Apartment Natalia is set in Verkhnyaya Pyshma. The property has city views. Apartment Uralskikh Rabochikh 46A is set in Verkhnyaya Pyshma. The property, housed in a building dating from 2012, offers free WiFi. Offering free WiFi and city views, Verkhnyaya Pyshma is an accommodation set in the apartment. Guests staying at this apartment have access to a fully equipped kitchen and a balcony. Located in Verkhnyaya Pyshma, Новые апартаменты features accommodation with a balcony and free WiFi. Guests staying at this apartment have access to a fully equipped kitchen. Set in Verkhnyaya Pyshma, Стильные апартаменты provides accommodation with a balcony and free WiFi. The accommodation is 17 km from Yekaterinburg. Guest House Monetniy is located in Monetnyy and features a terrace. Among the various facilities are a shared lounge and a bar. Просторная квартира в центре Верхней Пышмы is situated in Verkhnyaya Pyshma. Guests may enjoy free WiFi. Set in Verkhnyaya Pyshma in the Sverdlovsk region, Apartments Olesya has a balcony. Complimentary WiFi is available. Located in Verkhnyaya Pyshma in the Sverdlovsk region, Апартаменты на Успенском проспекте 113б - 3 этаж has a balcony. Guests staying at this apartment have access to a fully equipped kitchen. Boasting accommodation with a terrace, Коттедж на ЛЕСНОЙ is set in Verkhnyaya Pyshma. Housed in a building dating from 2009, the villa is in an area where guests can engage in activities such as skiing, hiking and tennis. Guest House on Vostochnaya 7 is located in Verkhnyaya Pyshma. Facilities include a terrace and free WiFi is accessible. Homestay on Kometnaya 101 has well-equipped accommodation featuring free WiFi in Yekaterinburg, 12 km from Church of All Saints. The units have a fully equipped kitchen with a dishwasher and a microwave.